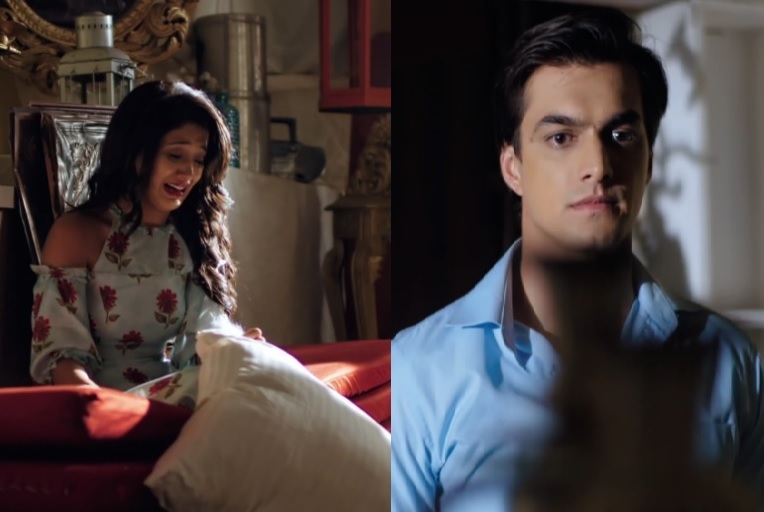 Yeh Rishta Kya Kehlata Hai : Why Is It So Secondary To Be A ‘Good Husband’ And In Case You Are, You Are A ‘Joru Ka Ghulaam’? 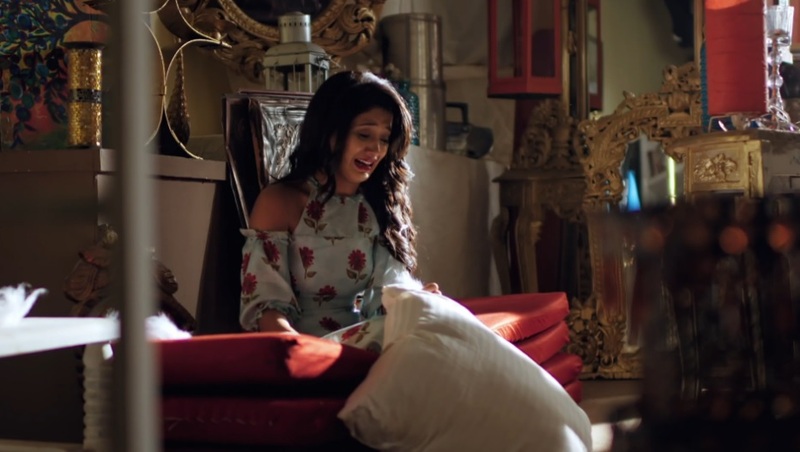 When Naira uttered these words sitting at a lone corner of a secluded room, shedding tears because Kartik is time and again humiliated for caring for his wife, something inside literally felt for the duo. 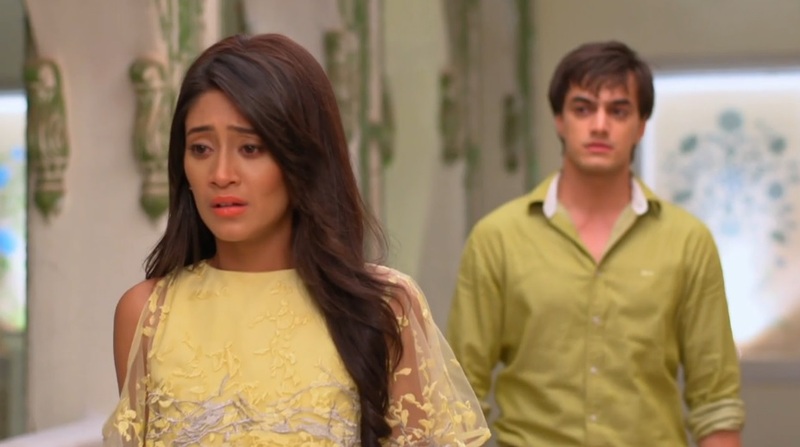 For Naira – because it pained her to see Kartik being punished for no reason. For Kartik – because the man is simply being good in every possible way but is been held for the sin of being ‘good’. 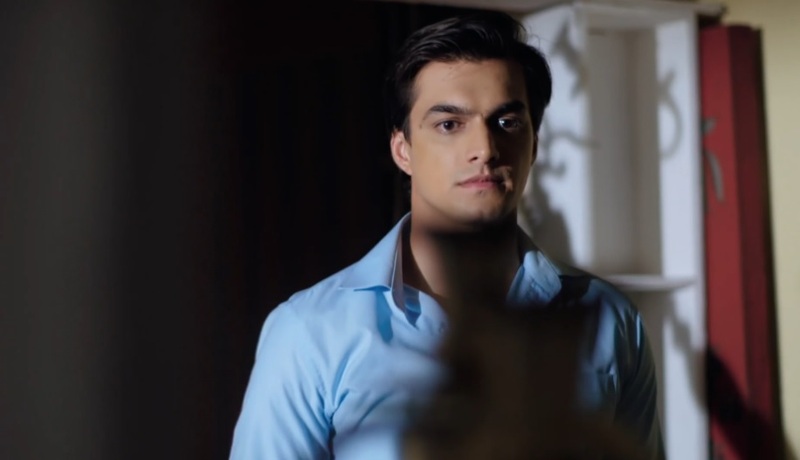 Let’s understand a little bit about the character of Kartik Goenka. 1. Concisely, the man is a freak about doing the ‘right’ thing, being with the ‘right’ side and saying the truth. Kartik’s basic problem is that he can’t lie, can’t do anything wrong knowingly and in no way act like a hypocrite. Not even to please anyone he loves. 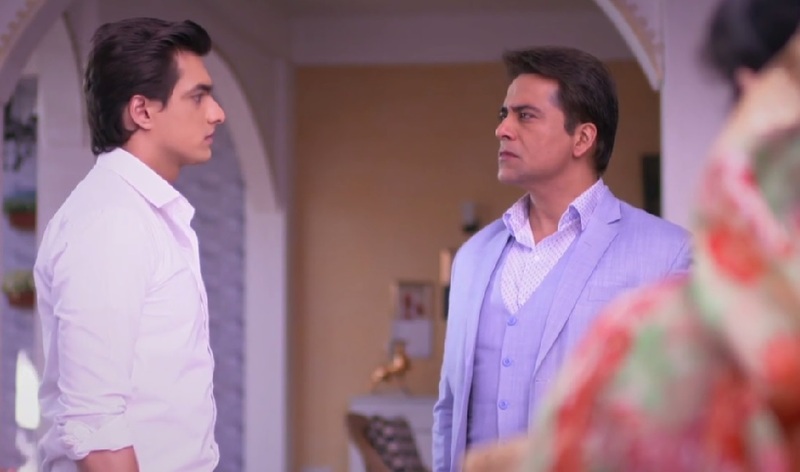 These are his in-built qualities, things that are a part of his personality and defines how and who he is – But Daadi says, these are the results of Naira being in his life! Question – These are not a result of Naira’s presence, but even if it is, what’s the harm? These aren’t bad qualities, are they? Just because Goenkas are a bunch of hypocrites, their son should also be like that and if not, he is a joru ka ghulam? No wonder Daadi, your own son has forever been your ‘ghulaam‘ and never could say a word against you. We have no problem with the ‘joru ka ghulaam‘ in your house, but definitely has some question we have about the weak spine the ‘maa ka ghulam‘ has. 2. Kartik raises his voice if he sees injustice is done with his wife. He did the same when he felt wrong has been done to his sister. He did the same when he knew how wrong he was to his mother. This guy can stand for the right and has the guts to rectify his own mistakes too! – But Daadi says, it’s all the result of Naira’s brainwashing? Question – It’s not Naira’s brainwashing. Kartik has enough brain to analyse situation by himself. But even if it is, what’s the harm? Was taking a stand for Naira, Keerti or Swarna wrong? How come? Just because Daadi and her raja beta were too slow to process things? They should eat more badaam then, why blame the poor guy? 3. 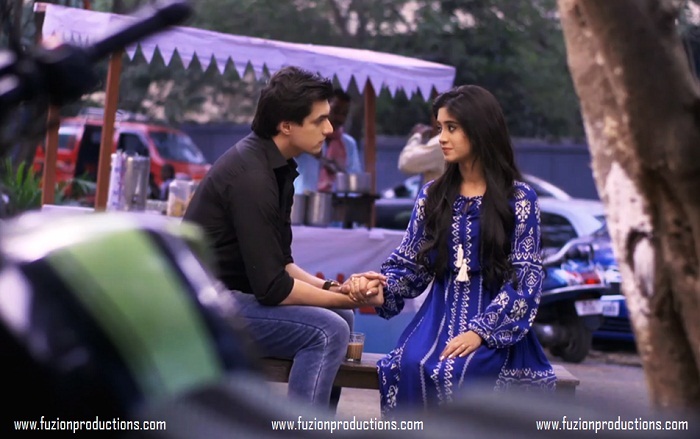 Kartik Goenka had promised Akshara and Naitik, before even marrying Naira, that he would forever help her with fulfilling her dreams related to the dance academy. He is till date abiding by his word – May be because he loves Naira or may be because he gave his word to his in-laws. Or may be because of both. 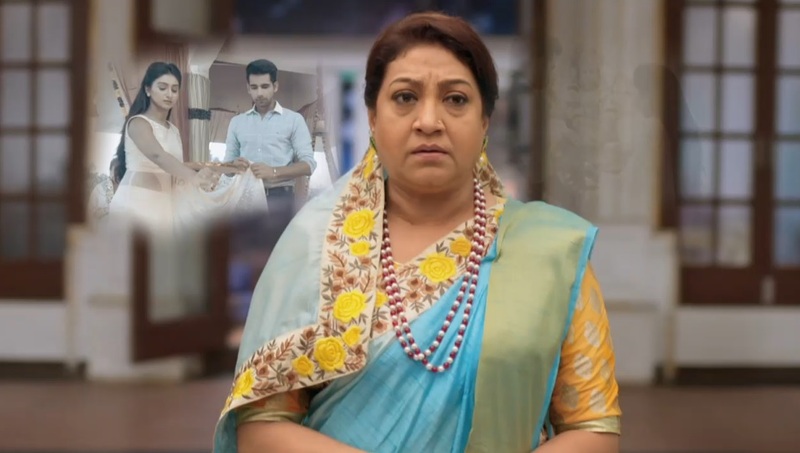 But Daadi says – because he is a joru ka ghulaam! Question – Dear Daadi, isn’t a man who helps his wife admirable or stick to his given words and promises respectable? Oh wait! Surely he isn’t! For a lady who dislikes her 60 year old son taking bed tea for his wife, how can she be understanding seeing her 30 year old grandson fulfilling his promises to his wife so dutifully? Fat chance! If children get accustomed from what they see while growing to a young age, old people also get accustomed to what they see while growing old. And Daadi has never actually seen an ideal and equal husband-wife pair during her years of growing old. If her sons had been, then poor Kartik would have been spared from the blames. Manish Goenka should have taken that bed tea for his wife 25 years ago, then Kartik would not have been given loopsided look for cooking for his wife! 4. Why did Daadi and Manish Goenka never thought to make their daughter independent? Despite her having all those qualities, that Naksh later identified and took a step to enhance. But the Goenkas never appreciates (and Daadi still doesn’t appreciate enough), the success and satisfaction that Keerti gets from her work, aren’t we expecting too much from these set of people to appreciate Naira’s work zone? It’s just probably a spare job for them! People who didn’t think of making their daughter independent, how will they digest the independent thoughts of their independent daughter in law? 5. Here’s what the Goenka family consists of – There’s a Daadi who steals things. A son and father who is spineless and does every stupid thing his mother says. Another father, who to protect his own daughter lies, tries to destroy evidence of a legal case, get one innocent arrested. A bahu who gives absolute feelings of a ‘chugalkhor aunty‘. A daughter who has apparently by mistake killed someone! – And here the Goenkas still have enough guts to stand and question Kartik for being ‘joru ka ghulaam‘? Why? Probably because he has none of the great inherent typical Goenka qualities cited above and these people forget their shameful acts quite fast. For them, regret comes and goes away in jet speed! 6. If your wife is good, have a straight and clean mind, gives you good advice, supports you in times of need and is your equal in everything – What’s the harm in listening to her? But if your mother is delusional, superstitious, arrogant, judgmental – You should still do as she pleases everytime? If you ask, we will say, it’s better to be ‘joru ka ghulaam’ of such a wife than being a ‘Maa da ladla‘ of such a mother! P.S:- It’s really shameful for us to see how in Indian society, men are still degraded by using women as tools. A ‘pati vrata‘ lady is ideal, but a ‘patni vrata‘ man is ‘joru ka ghulaam‘? Why is it so secondary in Indian households for men to be a good and supportive husband and being a son is primary, whereas being a good wife and a good bahu is equally primary? Why it becomes so difficult for a man to be a good son and a good husband at the same time? Why can’t we make life a little easy for them? 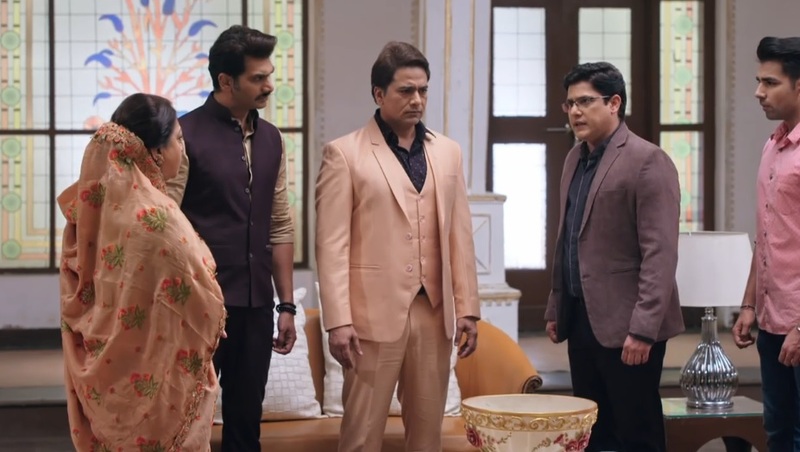 A supportive wife isn’t insulted like this….If Naira had made presentations for Kartik, helped in his project, she would have been tagged as a ‘lakshmi‘ for Goenkas. But if Kartik does the same, then the lad becomes a ‘slave to his wife’. Hats off to Bharatiya Parampara! It’s due to this hypocrisy probably why we have less of Kartiks but loads of Daadis and Goenkas in the real world. And that’s sad, really sad. Disclaimer : The article has been published under ‘Uncut Viewer Blog’. The content is subjected to viewers’ discretion. Nakuul Mehta And Drashti Dhami's Table For Two Episode Promises To Be UNLIMITED FUN! Amazing article and well written. 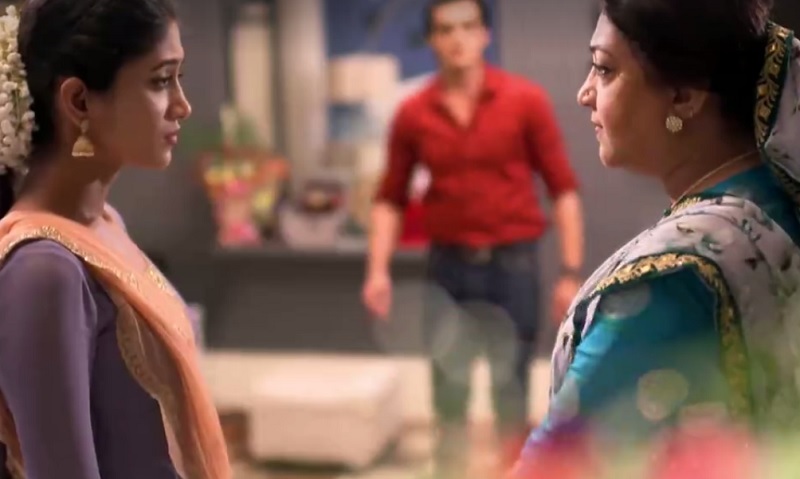 I think Yeh Rishta…. is truly teaching us the “#nayisoch” by showing us our “purani soch”. And that’s the reason, this show is traveling a journey of 9 years and this journey will continue inshallah and teach us the real meaning of family, love and life lessons. I don’t think ki Star Plus ka koi aur show Nayi Soch ke under aata hai . All are showing the most purani soch. Ek toh Ramayan ke samaye mein chala Gaya hai(IB) toh ek Usse bhi peeche(TSMSPJ) but Yrkkh is always teach something. It’s stories are always connected to real life. And that’s d best. This article is superb. 👏👏👏 And Yrkkh d best show & Shivin, of course, a heaven made couple as well as Kaira also. When the talk was about yrkkh there was no need for you to point out at IB and TSMSP. IB has a man (shivaay) who doesn’t have problem in his wife not cooking or doing household works but accepted her with her flaws and even cooks for his wife,man(shivaay)not ready to accept his mother because she was unfair to his wife (Anika),a man (shivaay) taking stand for his wife when she was asked if she has any problems related in conceiving and explained them their relationship,a man(shivaay) who takes the responsibility of his wife’s brother (shahil) and got his custody and took his responsibility and taking care of his education and more.To appreciate the goodness of your favourite show there is no need to point out any others shows.People like you are reason for the fan wars.